In 1983, Dr. Wayne Cadenhead and Roque Gonzales, Jr. were led by the Lord to do Mexico Mission work. Brother Jack Calk, Area Missionary and River Ministry Coodinator, was contacted and arrangements were made for the First Baptist Church of Haskell, Texas Mexico Mission Group to help La Iglesia Bautista Calvario in Cuidad Acuna, Mexico. The early years included construction and evangelistic work. After several years, it was determined that the work load was too heavy and the emphasis had to be placed on Evangelism. For the last 15 years the work has consisted of Vacation Bible School and Revival Services to various church groups in and around San Carlos, Piedras Negras, and Nava. We have constantly felt the Lord's call and felt His blessing. The only requirement to go and minister with our group is to know and love Jesus and have a willing heart. Information about the timing of our trip is usually available through the First Baptist Church Office. For other information contact Wayne or Yuvi Cadenhead in Haskell, Tx. at 940-864-3882. 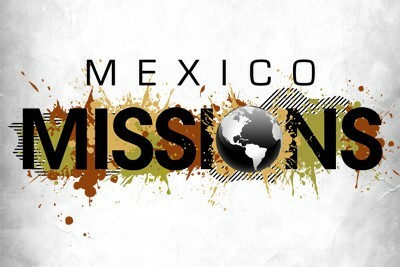 The next Mexico Mission Trip is July 23rd - 29th! Join us at our meetings in the FAC Sunday's at 3pm May-July for mission prep!